Mach 1 - take two! 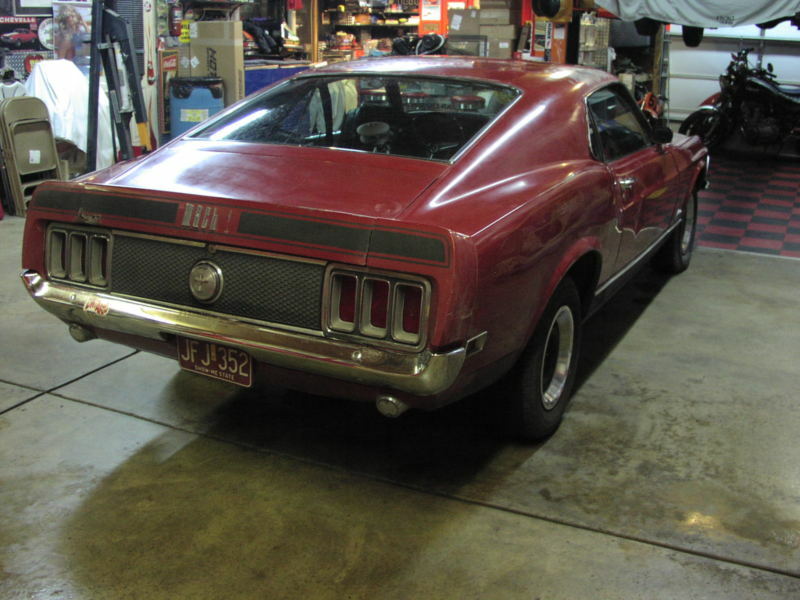 Someone is about to get a fantastic deal on a 1970 Ford Mustang Mach 1 Fastback currently bidding on ebay for $9,800 no-reserve with less than 20 hours to go, located in Chicago, IL. The 1970 Ford Mustang is considered the last of the original breed of Mustang pony cars, before the Mustang pulled an Elvis - doubling in size and wearing gold sequined capes before vanishing from the planet, way too young. This 1970 Mustang is offered in "barn find" condition, which means it will need thousands or dollars or hours to get it back into good shape...probably both. At first glance the car looks to wear Ford color code B - a "dark maroon," but later documents and door jam photos show T-code 'candy apple red'....so perhaps it is just the white balance in these photos...or its been repainted. 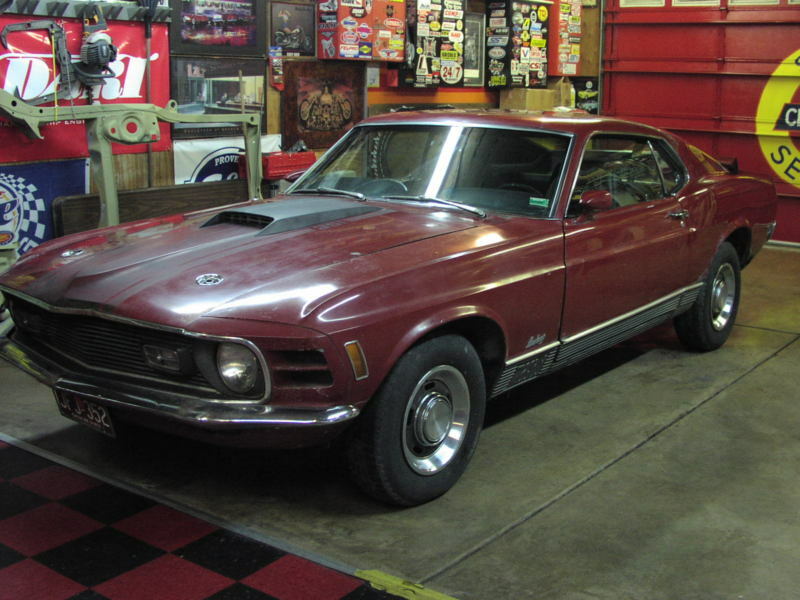 This Mach 1 is powered by the 351 Cleveland V8 - equipped with a 2 barrel carb and putting out 250 horsepower when new. It is mated to an automatic transmission, which is unfortunate because these cars are so much more enjoyable when you can row your own gears. The auto is the preferred gearbox for drag racers, brake stands and Rockford-turns, so you can still have fun with a slushbox. 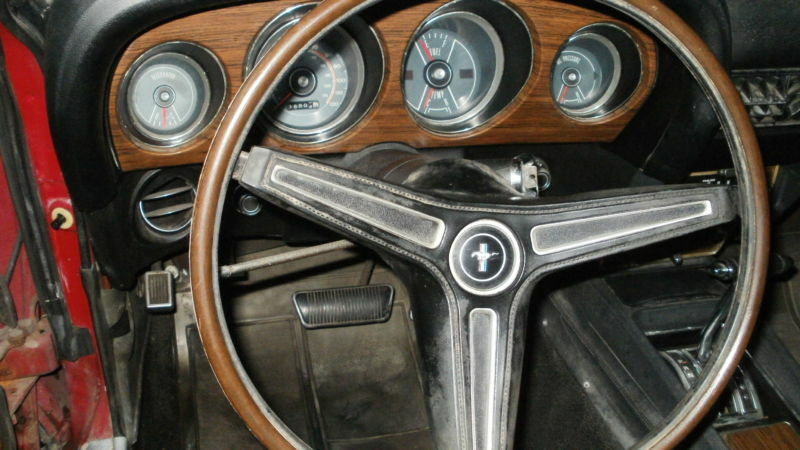 The Mach 1 option package added a minimum requirement of 351 V8 engine (from base inline 6 or 302 V8), some exterior stripes/badges, a woodgrain interior, beefed-up suspension and a bevy of other luxury items. 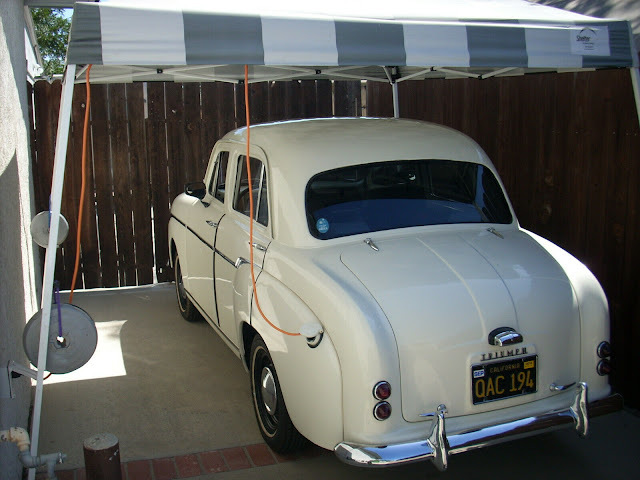 It was quite popular option with buyers in 1970 and despite its lack of rarity today, is a magic word for price insanity at auction houses like Barrett-Jackson. 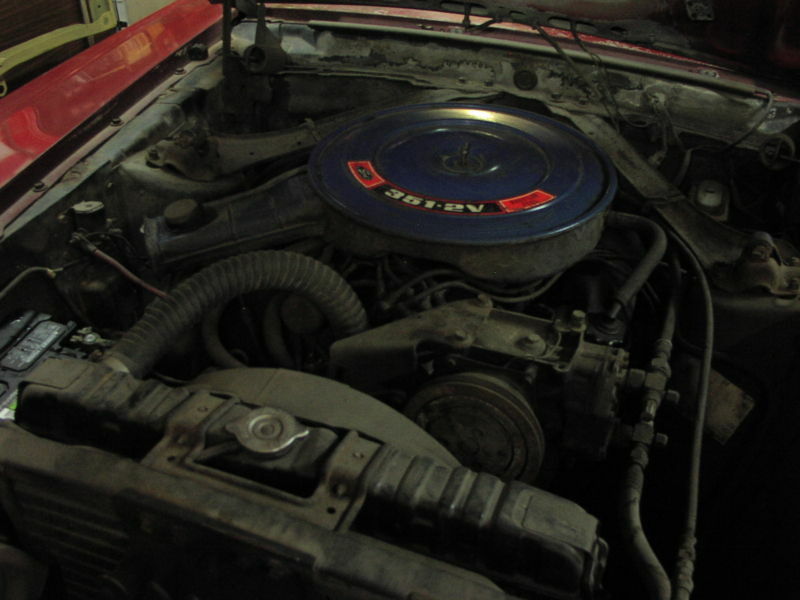 This 1970 Mach 1 is currently bidding well below what we'd expect for a Mach 1, even in its current un-restored shape. We hope the new owner puts some love and time into these beast to get it back on the road, but doesn't spend tens of thousands on an over the top rotisserie restoration. ~ i've watched this for a couple days and i shouldn't be surprised it reached $10grand, but i kinda am.